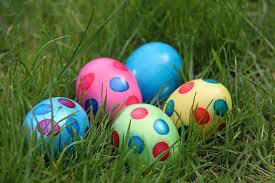 Easter Monday falls on the day after Easter Sunday and is a holiday in the United Kingdom. Most government and business offices are closed on this day. Many will celebrate the day with egg rolls and dousing water (holy water that was blessed on Easter Sunday) on one another. Most people take the day off as a day for rest and time to spend with family and friends.